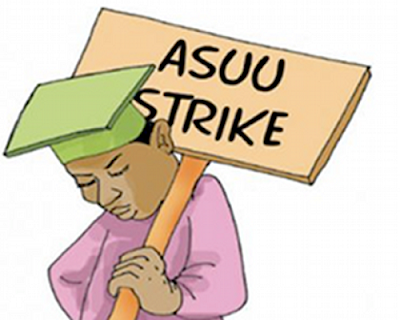 The Academic Staff Union of Universities (ASUU) chapters nationwide yesterday voted for the continuation of the three-month old strike at a referendum to decide whether to suspend the strike or not. The national leadership of the Union had on Monday directed its zonal coordinators to meet with their branch chairpersons to conduct the referendum on the offers of government and feed it back. It was gathered that over 200 members of the University of Ibadan chapter of the Union who attended the congress voted for the continuation of the strike while a little above 50 voted for suspension with conditions. In a telephone conversation, the chairman of the University of Ibadan chapter, Dr Deji Omole stated that the congress only conducted referendum on the offers of government, saying the congress was the principal, which guides the leadership of the union on their struggle. He also hinted that government said as a sign of good faith, it would release N25 billion for the revitalisation of universities while the rest will be defrayed after identifying sources to fund it. Omole who stated that government agreed to pay additional N5 billion to make the earned academic allowances N25 billion out of the owed N105 billion said ASUU wanted government to pay N30 billion. According to him, the federal government has agreed that the renegotiation should commence and end within six weeks. Sources at the congress, however informed our correspondent, "That members voted for the continuation of the strike because they doubted government's sincerity in fulfilling its new promises following the failure of the Buhari administration to fulfill the Memorandum of Understanding until the current strike."